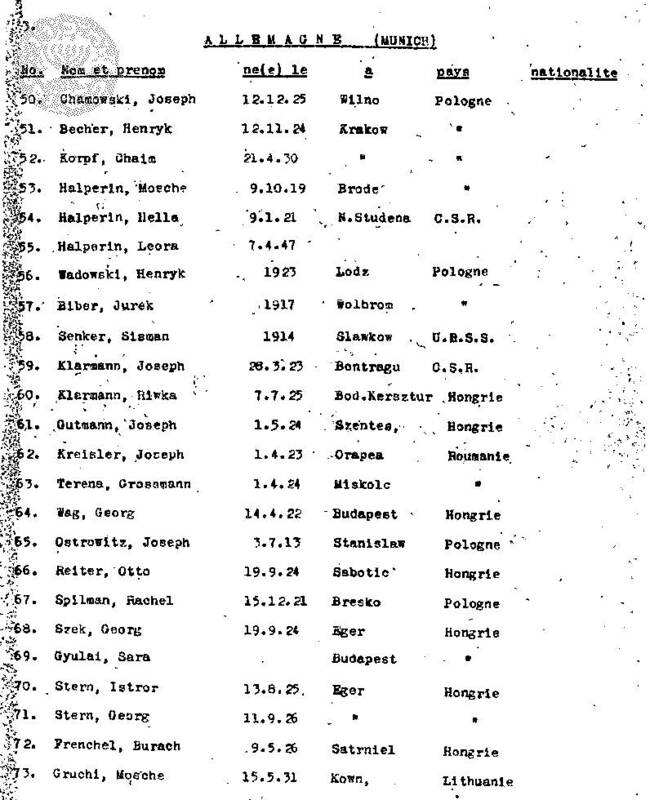 A list of the passengers (almost all immigrants) on the Altalena, which approached the shores of Israel in June 1948. There are various lists in Hebrew and English. The lists in English were chosen because they include the date of birth and place of birth. The fields are line number on the page, surname, given name, title, day of birth, month of birth, year of birth, place of birth, country of birth and nationality. Where information is not given, the field should be left blank.